The governor’s inclusion of legalization revenues for his 2021 budget suggests that sales could launch in New York by 2020. A memoranda in support supplement to the budget released shortly after the Democrat’s remarks included the “Cannabis Regulation and Taxation Act,” sponsored by fellow Democrat Sen. Liz Krueger. The measure, currently in the upper chamber’s Finance Committee, would implement a taxed and regulated market for adults along with a host of other reforms; however, in order to ensure the law is signed once it reaches Cuomo’s desk, the home-growing provisions included in the current proposal would likely be struck from the legislation. In November’s election, the Democrats gained control of the Senate, giving the party control over the legislature. The current measure, which moved into the finance committee in November, would allow a six-plant home grow and outlines penalties for unlicensed growing ($125-$500 fines), sales, and selling to minors (a class E felony). It would allow massive personal possession limits – up to two pounds of flower and four-and-a-half grams of concentrates; these limits, however, could also be affected in order to for the measure to receive the governor’s approval. The measure also provides for municipal control and seed-to-sale product tracking, both included in the governor’s memorandum. During his address, Cuomo promised the state’s cannabis industry would help the poor communities adversely affected by prohibition rather than the corporations. 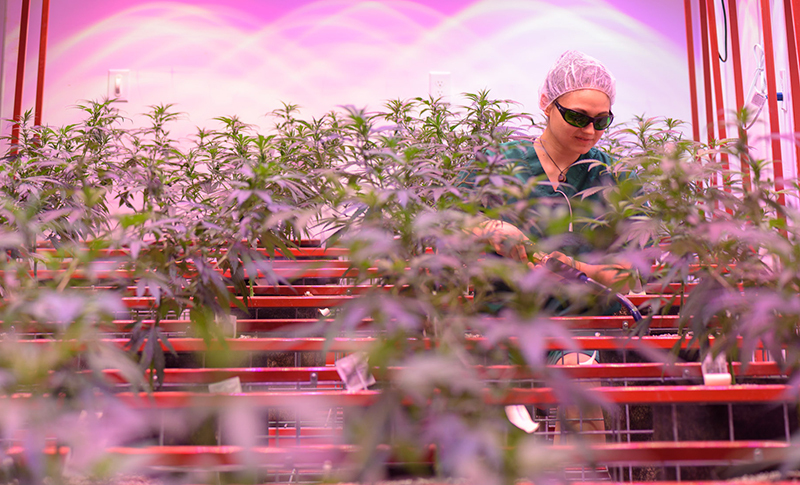 The bill would create nine licenses — nursery, producer, processor, distributor, retailer, microbusiness, on-site consumption, delivery, and testing — while implementing three taxes. The first tax would be imposed on cannabis cultivation at a “rate of $1 per dry weight gram of cannabis flower and $0.25 per dry weight gram of cannabis trim,” according to budget documents. The second tax would be imposed “on the sale by a wholesaler to a retail dispensary at the rate of 20 percent of the invoice price.” The third tax would be “imposed on the same sale by a wholesaler to a retail dispensary at the rate of 2 percent of the invoice price but collected in trust for and on account of the county in which the retail dispensary is located.” Business registration fees and bi-annual renewal fees would be set at $600. 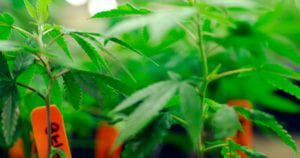 The proposal would move supervision of the state medical cannabis program to the newly created Office of Cannabis Management – the same agency that would supervise the recreational program – and would allow registered medical patients to grow up to four plants, according to a member of the governor’s office in an email. There are no home-growing provisions under the current medical cannabis law and flower products are unavailable to registered patients. Vireo operates four dispensaries throughout the state in Albany, Johnson City, White Plains, and Queens. In an interview with Spectrum News, Deputy Minority Leader Joe Griffo said the tax windfall could reduce both property and income tax rates in the state. Griffo compared the legalization proposal to another ‘sin’ industry newly legalized in the state – casino gambling. “When they told us that legalizing gaming would be an economic cure for upstate New York, we now know these casinos are looking for bailouts and help,” Griffo said in the interview. Once approved, New York would be the eleventh state to legalize cannabis for adult use, along with Washington, D.C. Two of New York’s border states – Vermont and Massachusetts – have legalized cannabis use for adults along with Canada, which borders the state to the north. New Jersey is also expected to legalize sometime in 2019. There is no timeline for when the bill will move out of the finance committee, what amendments could be made, or when sales would begin; however, with Cuomo including revenues from the market in his 2021 budget, sales could commence in 2020 if lawmakers pass the legislation this session. NORML, in their recent gubernatorial scorecard, graded Cuomo a B-plus on cannabis policy.